SUPPLY NY are set to celebrate their fifth birthday tonight (Friday 8th June) with a five-hour boat party in New York City. Setting sail at 7:00PM sharp, the collective’s long-serving resident DJs will command the on-board booth, with Griffin Camper, Jordan James, Misawa and Animal Feelings all set to spin as the sun goes down. Additional support will come from local and talented selectors including Haruka Salt, Ria (88 Palms), Nè, Tony y not, and Kate Stein. Over the last five years, SUPPLY have delighted the Big Apple's party scene with a slew of careful curated line-ups, hosting acts including Gerd Janson, Robert James, Viceroy, Le Youth, Bob Moses and many more. 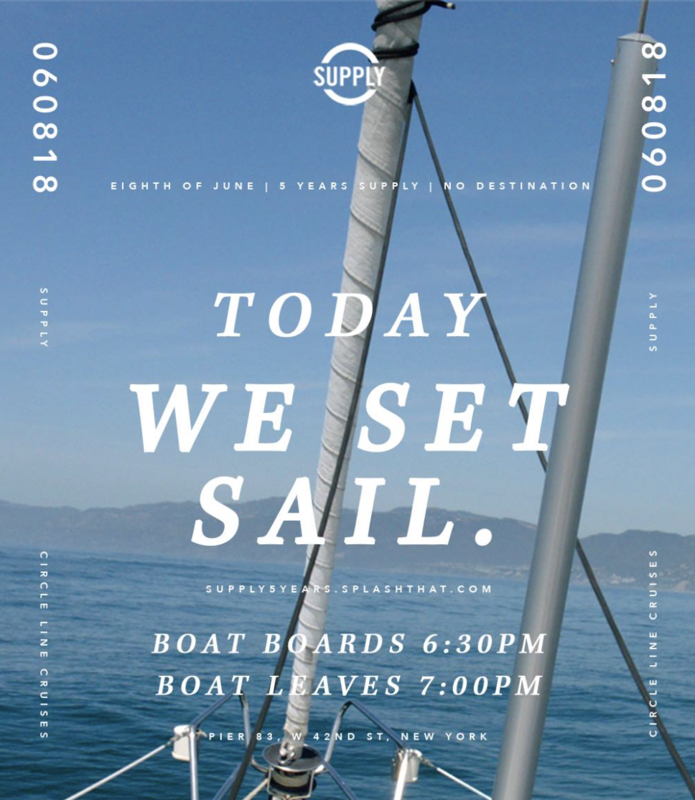 SUPPLY NY's fifth birthday party sets sail tonight (Friday 8th June) from 7:00PM to 11:00PM from Pier 83, W 42nd Street, New York. Tickets to SUPPLY NY’s No Destination Boat Party can be found here.